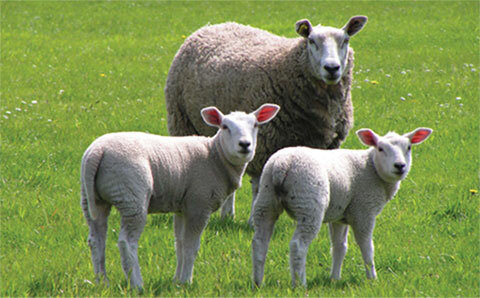 Our lambs are home-bred and naturally reared. 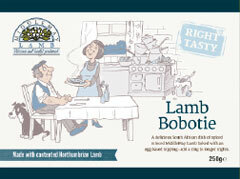 MiddleMay Lamb comes from a cross breed of Clun Forest Leicester female which are then crossed with Hampshire tup, a traditional British sheep. They are situated in our Ponteland based farm. The lambs stay with their mothers and are milk-fed for at least 5 months, living outdoors grazing contentedly on grassland which has been permanent pasture for over 200 years. 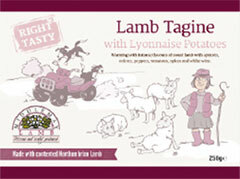 The pasture is ideal for this variety of sheep and includes herbs and spices which help to give the lamb its unique flavour. 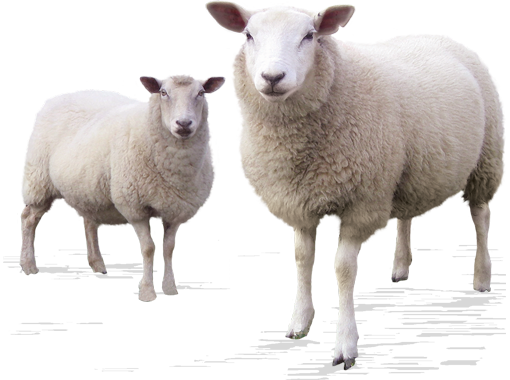 The feeds including oats and turnips, on which our lambs are reared, are home-grown and organically produced without the aid of artificial fertilisers or crop sprays. 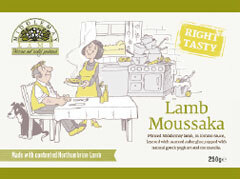 Once you've tasted MiddleMay Lamb you'll realise that it's something special. 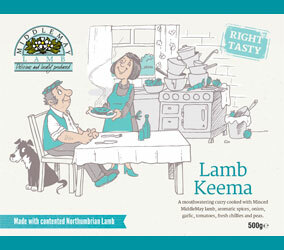 The unique flavour and quality of lamb is due to the way we rear and care for our stock. Natural, succulent and delicious - we think you'll find our lamb mouthwateringly different - great flavour, lovely texture and colour and, cooked with care, it's…"guaranteed not to shrink"
We strongly believe that our lamb is so good because it comes from well looked after happy, content lambs. MiddleMay Lamb is fantastic for a wide range of dishes, and there's a choice of cuts and recipes available; from traditional Sunday joint to fragrant stir fry. 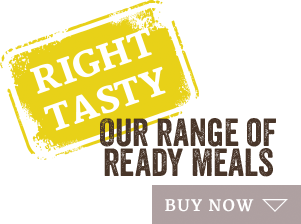 At MiddleMay we have been busy in our new purpose-built kitchen and butchery, and over a hot stove, creating a delicious range of farmhouse-made 'right tasty' ready meals. Our lamb dishes are lovingly prepared, using fresh natural ingredients, and throughly tested by 'The Farmer' for final 'right tasty' approval. 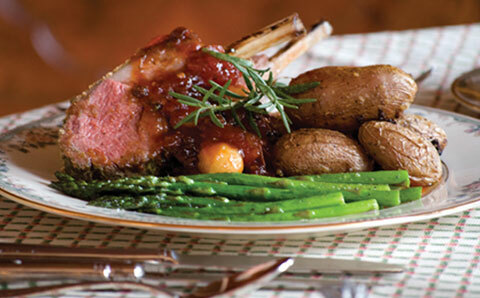 Warming with intense flavours of sweet lamb with apricots, onions, peppers,tomatoes, spices and white wine. 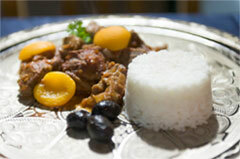 Slow-cooked diced MiddleMay lamb in a spicy nutmeg sauce topped with poached apricots on a warm spicy Lamb Tagine. Minced MiddleMay lamb, in tomato sauce, layered with sauteed aubergine, topped with natural greek yoghurt and mozzarella. A delicious South African dish of spiced minced MiddleMay Lamb baked with an egg-based topping-add a zing to longer nights. Slow-cooked mutton with pearl barley, lentils, root vegetables and flavoured with Willie Robsons Chainbridge Honey Mustard. 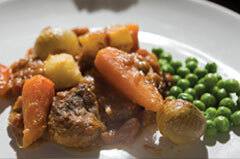 A very popular dish inspired by French style slow cooked lamb with chunky carrots, potatoes and shallots. A mouthwatering curry cooked with Minced MiddleMay lamb, aromatic spices, onion, garlic,tomatoes, fresh chillies and peas. To tempt you we have our popular Lamb Navarin, Lamb Moussaka, Lamb Bobotie and, especially for Christmas, our Cordero La Chilindron; slow cooked, home produced sweet lamb with Parma ham and red pimentoes - a lovely surprise for Christmas Eve. 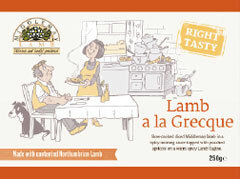 MiddleMay Lamb Stir Fry - New season Spring Lamb, plum sauce and tender asparagus Lamb a la Grecque - with fresh poached Apricots on a warm spicy Lamb Tagine. 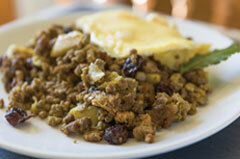 Lamb with Red Currants and just popping peas Lamb Moussaka - perfect with crusty bread. 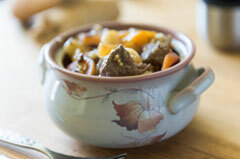 Return for our popular Lamb Navarin with chunky carrots, potatoes and shallots Lamb Bobotie - to add a zing to longer nights. Our classic for cold days - Clun Stew slow cooked mutton with pearl barley and lentils as well as an array of root vegetables. Very lucky to of had your moussaka last night for tea after my other half brought it home when he was in Fenwicks food court with his Gold Box Roastery coffee stall... tonight I'm lucky again to of had the Lamb Bobotie, both meals were absolutely delicious and can't wait to try more! 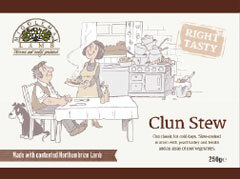 Available at Farmers Markets throughout the North East and from selected outlets.